Sotheby’s was founded in London on March 11, 1744, when Samuel Baker auctioned several hundred scarce and valuable books for a few hundred pounds. Today the auction house has expanded to offer the best in over 70 categories including Fine and Decorative Arts, Jewelry and Wine. Sotheby’s maintains 90 locations in 40 countries and conducts 250 auctions each year. It was out of this rich heritage that an international real estate brand was founded in 1976. Today, the Sotheby’s International Realty® brand offers the same commitment to exceptional service that has characterized Sotheby’s for more than two centuries. A client of Realogics Sotheby’s International Realty in Washington is a client of all of our global offices via our proprietary global marketing and distribution initiatives. This close-knit network promotes relationships and referrals through face-to-face network functions, a robust digital marketing platform and special events worldwide. The only real estate app on Apple TV with expertly curated high-resolution photography and high-definition videography, the app ensures an impeccable visual experience while exploring the world’s most extraordinary properties. This is just the beginning for Sotheby’s International Realty on Apple TV – as part of our app launch, we sent a new Apple TV to all of our affiliates across the globe, enabling customers to experience it in offices throughout our network. “Global Affluence: The Emerging Luxury Consumer,” a report examining the confidence, spending habits and purchasing interests of those with $250,000 USD to $1 million USD in investable assets, known as emerging luxury consumers. Today, discover the extraordinary lifestyles that these individuals lead. The Sotheby’s International Realty YouTube channel has reached the milestone of over 30 Million video views and is the most viewed and subscribed-to real estate channel on all of YouTube. 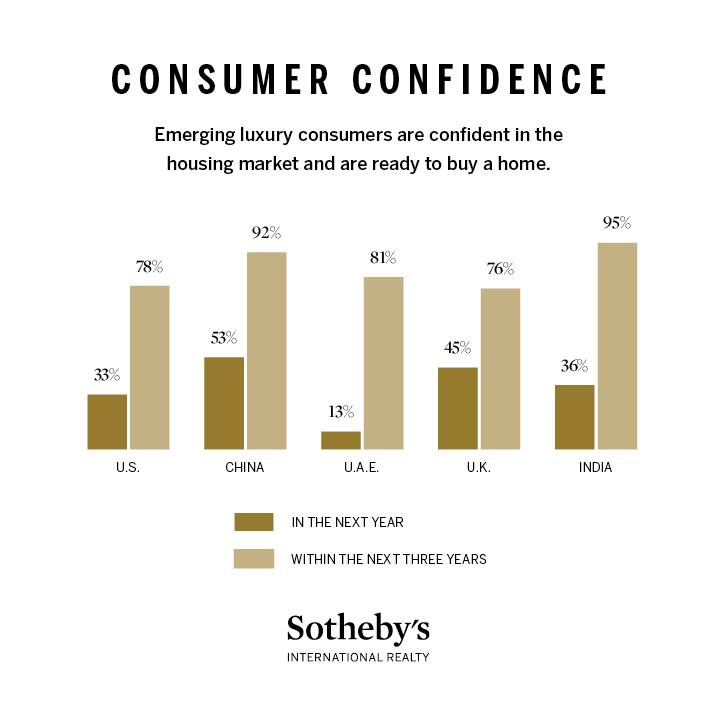 In the United States, the Sotheby’s International Realty brand achieved over $96 billion USD in sales volume in 2017 and added six independently owned and operated residential real estate firms to its network and 58 new offices. Seattle Region is Now #4 Most Visited Market in U.S. by Chinese Homebuyers Online; Luxury Home Sales Rise. An exclusive sponsorship of Juwai.com’s leaderboard advertising platform reaching thousands of prospective buyers each day. The partnership is timed with the Lunar New Year celebration that brings hundreds of inbound Chinese to the Seattle metro area and coincides with other initiatives by RSIR including the recent release of Seattle Luxury Living magazine, an all-Mandarin publication that highlights the Pacific Northwest lifestyle and showcases RSIR’s Asia Services Group and property listings. Realogics Sotheby’s International Realty is the region’s largest independent luxury real estate company connected to an international network of more than 700 offices in 49 countries and territories. The power of this alliance goes far beyond the Puget Sound. Through the global reach of our unique network, Sotheby’s International Realty connects Christine, and you, with elite home buyers and sellers around the globe.